Born at Thornhill, Ontario on 6 October 1879, son of William R. Bowman and Mary French, he attended the Portage Collegiate Institute, studied law, and was called to the Manitoba Bar in 1911. He practiced law at Dauphin with the firm of Bowman, McFadden and Bowman, and later Bowman, McFadden and Carmichael. He was made a King’s Counsel in 1923. He served as Mayor of Dauphin from 1917 to 1919. He stood as a candidate in the federal general elections of 1925, 1926, and 1940 for Dauphin, being defeated each time by W. J. Ward. 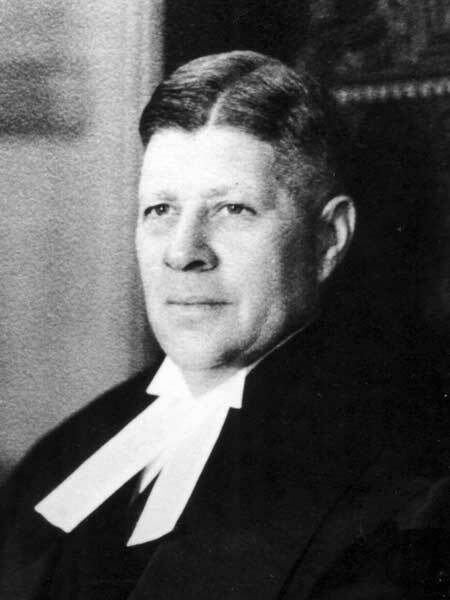 He was elected in 1930, served as Speaker of the House of Commons from January to August 1935, but was defeated in the 1935 general election. On 22 December 1949, he was appointed to the Privy Council of Canada. He died at Dauphin on 14 September 1951 and was buried in the Dauphin Community Cemetery.